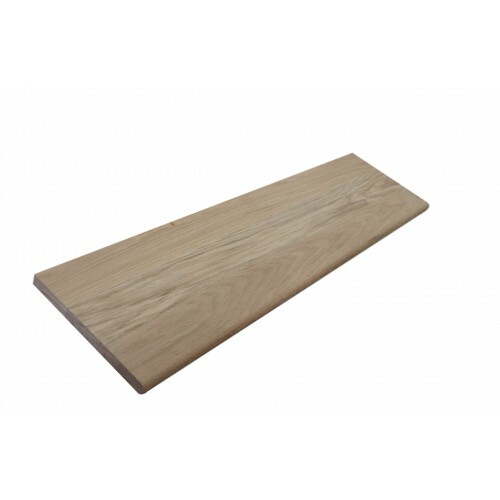 White Oak Unfinished Stair Treads - Standard Box Tread - 1" x 11 1/2" x 42"
All our box treads (for a "closed-type" staircase) have a full round over bullnose along the front edge and are edge-glued for stability throughout the tread's lifetime. If you need a White Oak tread with a return, see left return White Oak treads or right return White Oak treads. Unfinished White Oak stair treads are sanded and ready for you to apply stain and polyurethane, we also offer prefinished White Oak treads with our UV clear-coat applied. Traditional White Oak stair treads are 1" thick x 11.5" wide x 42" long. These treads are sometimes identified by their part number - 8070 White Oak Plain Stair Tread. 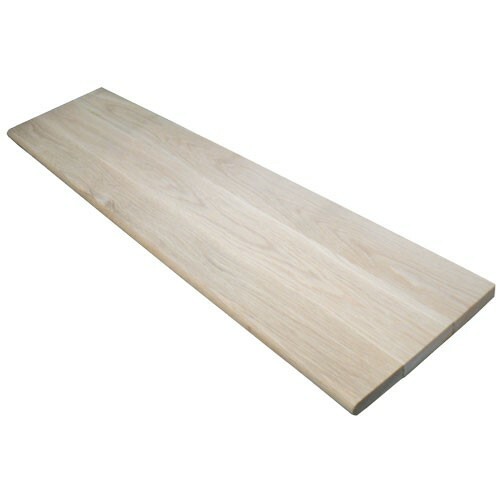 Do you have available white oak solid 2” x 11 1/2”x 39” white oak stair treads? If you have it -Can you provide price and delivery time to Rockville Maryland 20853. We can make thick treads for open rise staircases, but thick treads are a highly specialized item for a very particular application. The price varies by market conditions but at the time of writing, a true 2" x 11-1/2" x 39" tread is roughly $280 / ea. and have a 4-5 week lead time.